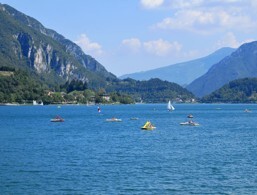 Holidays at Lake Ledro ↔ Discover Lake Garda! 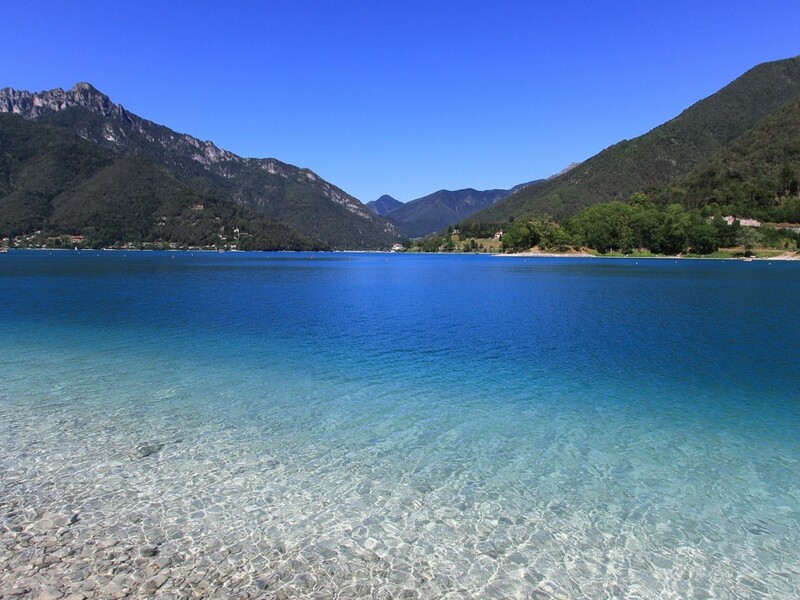 The turquoise blue alpine lake is the ideal holiday destination for peace seekers and nature lovers. 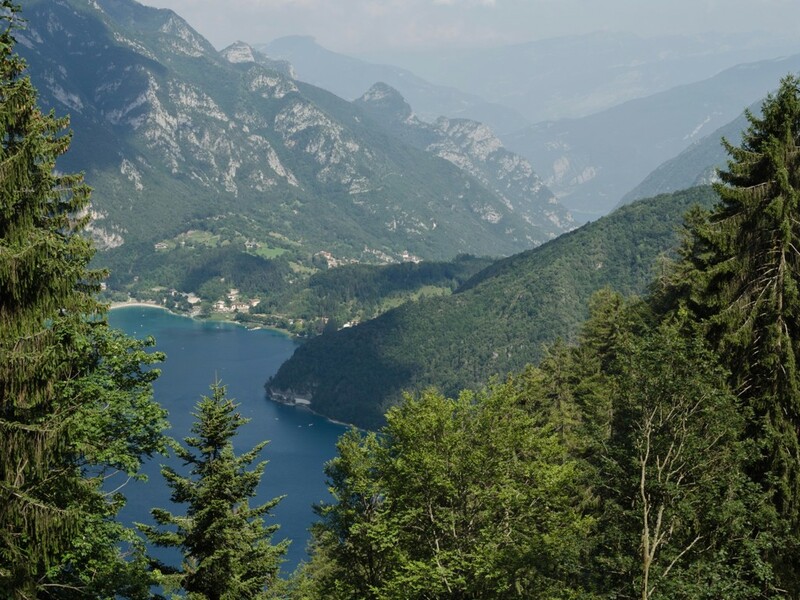 North of Lake Garda and almost 600 m higher, is Lake Ledro. 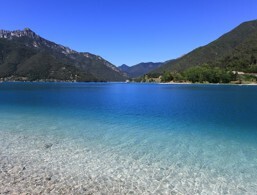 The unique and quiet alpine lake is still an insider tip among those seeking peace and is considered by many to be one of the most beautiful and cleanest lakes in Trentino. 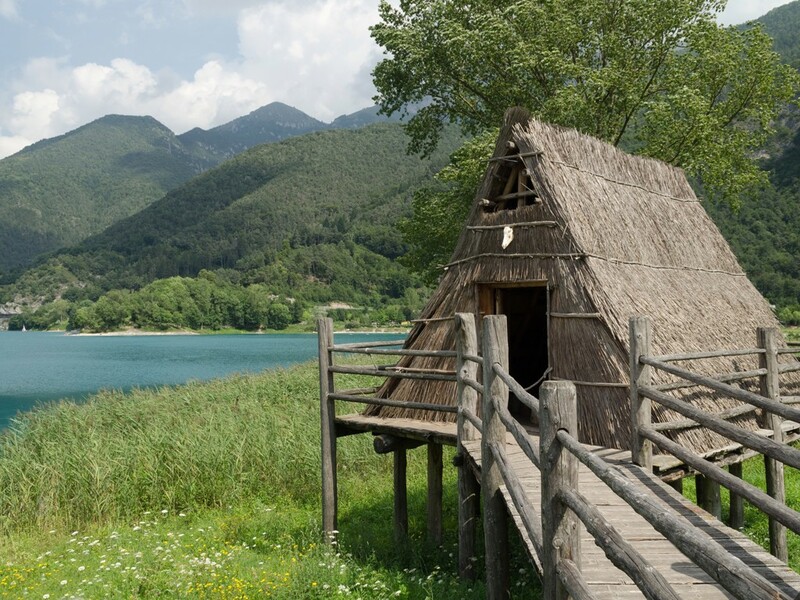 The turquoise-blue waters are embedded in dense forests at the end of the Ledro Valley and are rich in history dating back to the Bronze Age. The lake caused an archaeological sensation in the last century. When the water was lowered for the construction of a hydroelectric power plant, remnants of a nearly 4,000-year-old pile-dwelling settlement emerged. The remains of the pile-dwelling village date back to around 1700 BC. 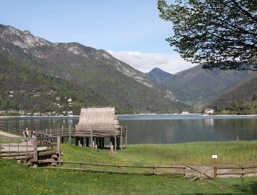 Today, together with numerous other finds from this period, visitors can marvel at the "Museo delle Palafitte", the pile-dwelling museum in the Molina di Ledro. Several small communities have settled on the historic Lake Ledro including: Molina di Ledro, Pieve di Ledro and Bezzecca. 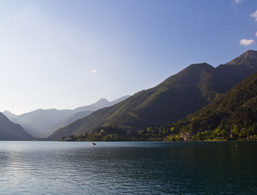 The tourist centre is Pieve di Ledro, a sprawling village on the north shore of the lake that has only about 540 inhabitants. Despite its few inhabitants, this village with its large restaurants, supermarkets, camping car parks and vast beach, is well prepared for tourists. Molina di Ledro on the western side of the lake boasts a beautiful botanical park and spacious swimming area that invites you to relax on its shores. Bezzecca is the capital of the Ledro Valley and still bears witness to the horrors of the First World War with monuments and well-preserved tunnel systems in the mountain. 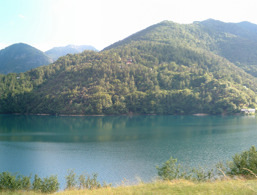 The surroundings of Ledro are ideal for hiking, walking or mountain biking. Sporty, active holidaymakers will feel just as comfortable as history buffs or swimmers in its beautiful natural landscape. 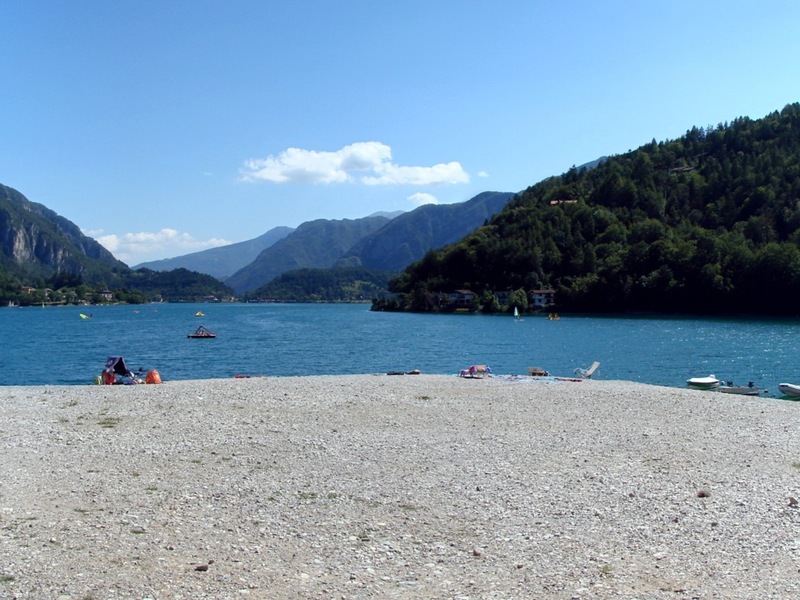 Lake Ledro is also ideal for dogs. In addition to extensive walking paths, there are also special bathing facilities for your fluffy four-legged friends. 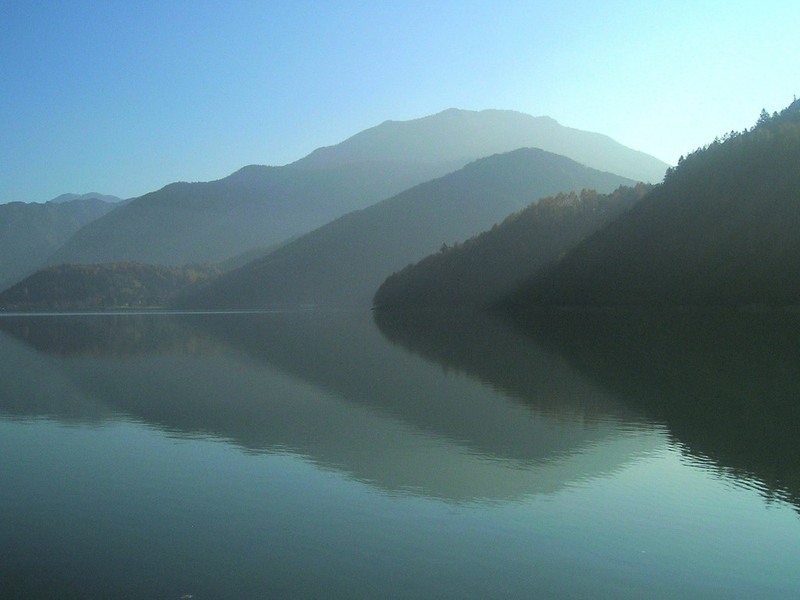 Discover the picturesque Lake Ledro and its surroundings. The picturesque Lake Ledro is located next to Lake Garda and is a famous destination for active travellers. 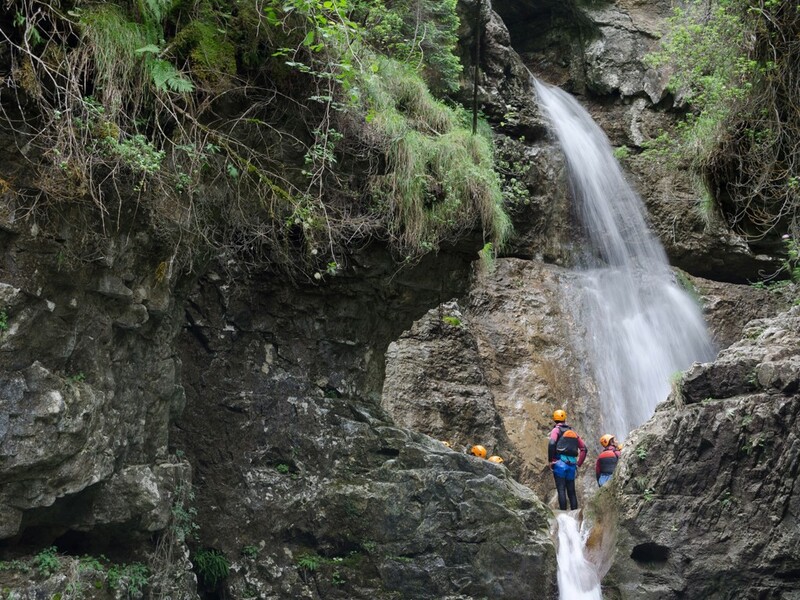 Varone Waterfall is a magnificent spectacle of nature about 3 km north of Riva del Garda. Nearly 100m long, the waterfall can be viewed either from the bottom of the gorge or at the height of 40m from a cave. It is considered a geological rarity and gives unique insights into the history of our planet. The accommodations at Lake Ledro were rated 4.2 out of 5 stars by 4 users.